To keep a strong hold on scooters segment in domestic Market, Hero MotorCorp is getting geared up to launch its scooters on 29 September 2015. Though, there is no official confirmation about the products that is going to be unveiled, but it is widely assumed that the company will introduce Maestro Edge and Duet 110. Mechanically speaking, both scooters will be powered by 110cc, 4 stroke, single cylinder, air cooled engine that is expected to produce 8.3bhp of maximum power and 8Nm of high torque, it will be mated to CVT transmission. Design wise, we expect Hero Maestro to receive all new digital meter, combi-braking system, bigger grab rails and a 3D logo on its engine cover. Also, it is expected to wear tubeless tyres and a bigger compartment to keep your stuff. Both scooters were unveiled at Auto Expo 2014, and it managed to receive a good feedback from the audience. 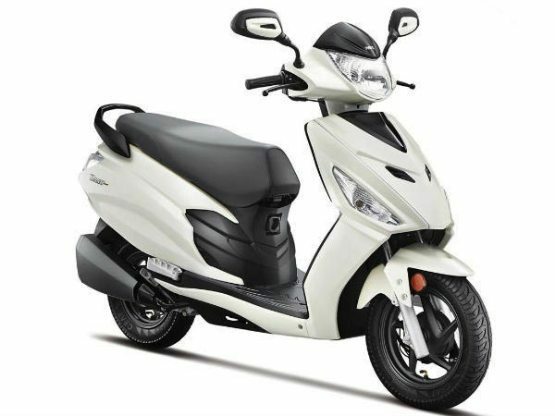 The new scooters from hero will go head to head with Honda Activa as they aimed to attract unisex buyers in Indian Market. We expect Hero to launch its new scooters between the price range of INR 52,000 for hero Maestro and INR 45,000 for Duet 110.